MED Clean South offer a wide variety of cleaning services to both residential and commercial customers throughout Kent From one off domestic cleans to end of tenancy cleaning we also provide carpet and window cleaning services. Regular scheduled and one-off cleans. 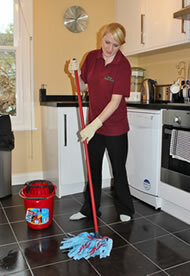 Our staff are friendly, professional and efficient and will work to ensure you return to a clean and relaxing home. We don't work cleaners on rotation, therefore unless prohibited by illness or similar, you get your fully vetted and insured cleaner every time.